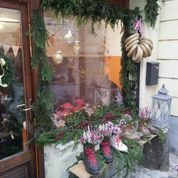 Christmas comes early to Radovljica! 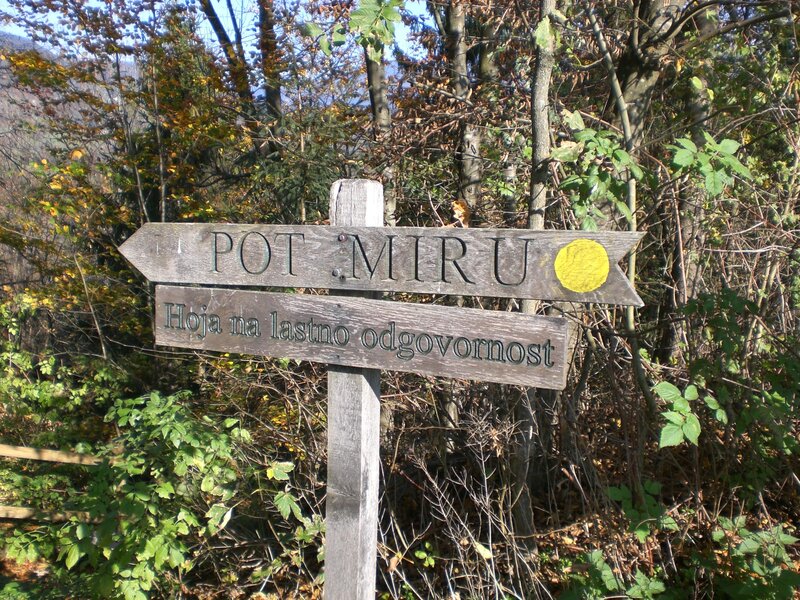 Some while ago I visited, or attempted to, the Path of Peace (Pot Miru) in Brezje. However, although I walked on parts of the path, I didn’t actually find the entire path from start to finish so this weekend that was rectified. Actually, since I seem to know most of the paths and hiking routes better than a lot of the locals, the thinking behind the trip, thanks to a friend, was to take me somewhere where I hadn’t yet been; that for a change someone local would be guiding ‘the foreigner’ instead of vice-versa! 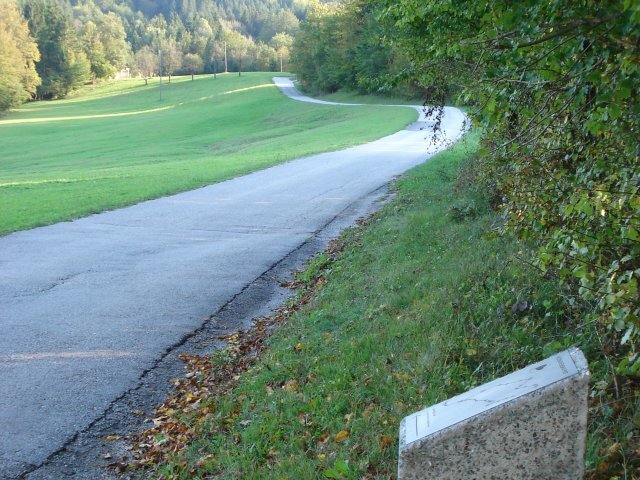 Well, they partly succeeded as I had been there before but had failed to find the path in its entirely, so thanks! 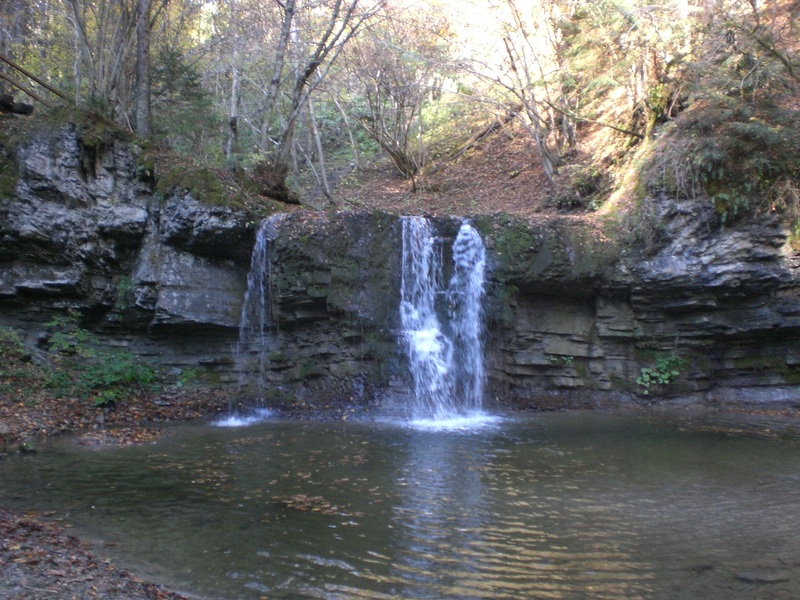 It was a lovely walk complete with warm temperatures and the autumn fallen leaves crunching underfoot. 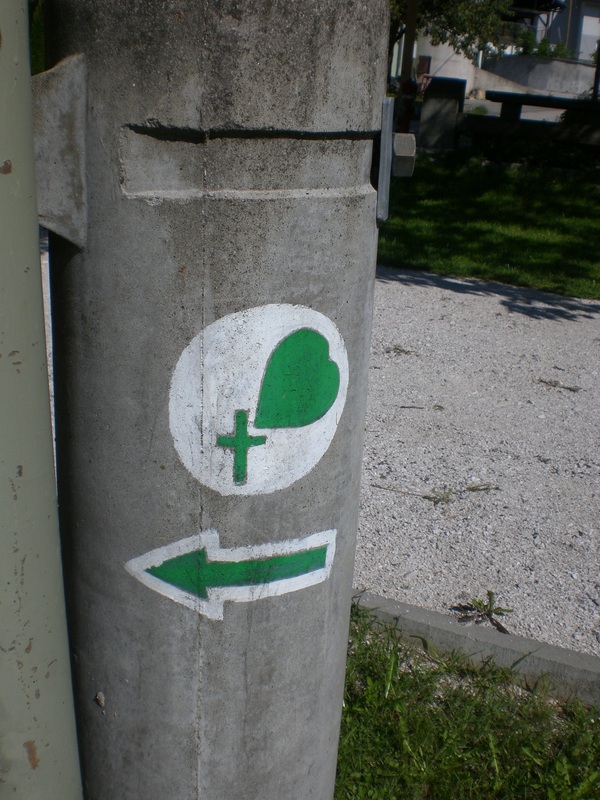 The village of Brezje is known for its Basilica of Mary Help of Christians, one of the most known churches in Slovenia, a national sanctuary and pilgrimage centre. It is one of the 18 churches in the villages and town that comprise the area of Radol’ca (among them Radovljica, Lesce, Kropa, Begunje, Kamna Gorica, Brezje). 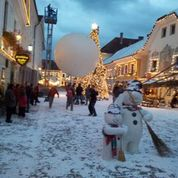 Christmas time arrived early in Radovljica this week, and what an amazing sight it was, as can be seen in the pictures below. I must admit to thinking to myself ‘Are you kidding – it’s only October’ when I saw the HUGE Christmas tree being assembled. However, when this was shortly followed by artificial snow, fir tree clad houses, hundreds of fairly lights and more, I realised something must be afoot. 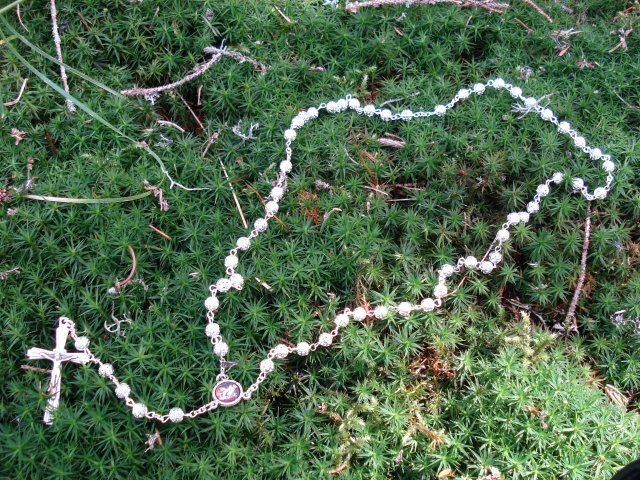 The reason was that a commercial was being filmed for a world renowned Italian sweet pastry. It certainly captured everyone’s interest though, locals and tourists alike were enchanted by the scene. 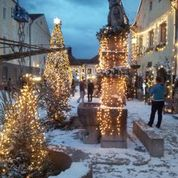 However, 2 days later it had disappeared as quickly as it had appeared, leaving us to wait and look forward to the ‘real’ Christmas and the host of ‘Merry December‘ events, including the Christmas Market, that will be taking place in Radovljica throughout the Christmas period.